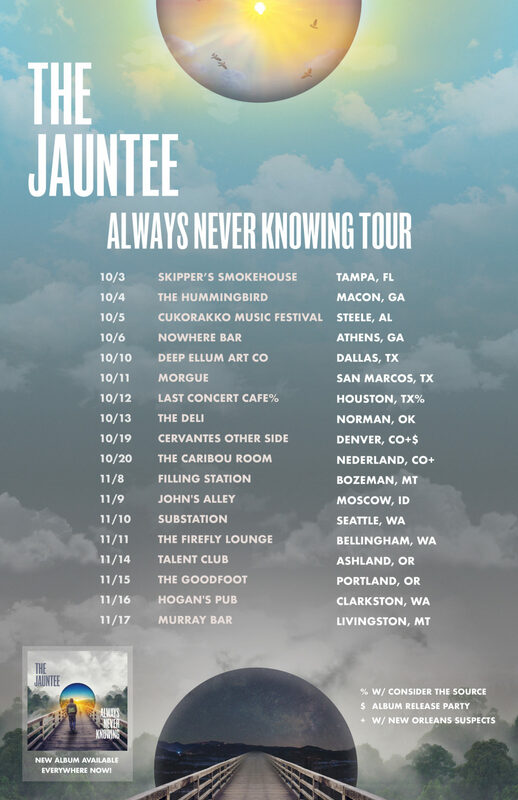 The Jauntee have announced the second leg of their Always Never Knowing Tour which will start on November 8 in Bozeman. The tour will route through Moscow, Seattle, Bellingham, Ashland, Portland, Clarkston, and Livingston. Still in the midst of their first leg, the band will continue this week through the Southeast and into Texas before their October 19 Album Release Party in Denver at Cervantes. More information for the shows can be found in the TOUR section or our Facebook page!